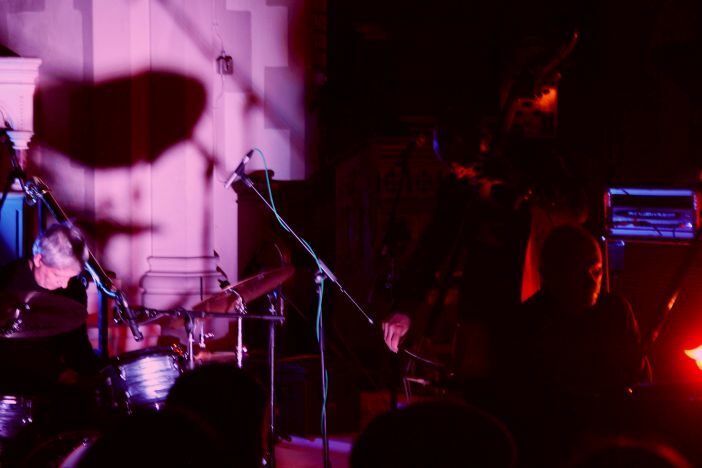 Dictionary Pudding have been putting on some diverse gigs of late and a recent partnership with the Brighton Alternative Jazz Festival has led them to some excellent jazz. 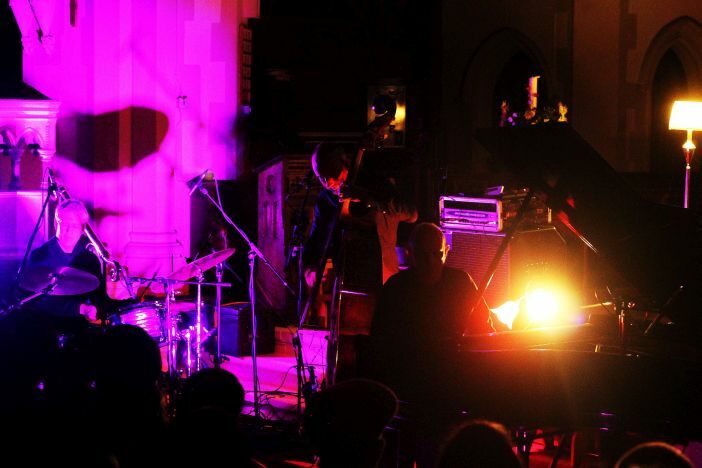 On Monday night they played host to the avant-garde Australian trio The Necks in a Victorian gothic church at the top of muesli mountain. 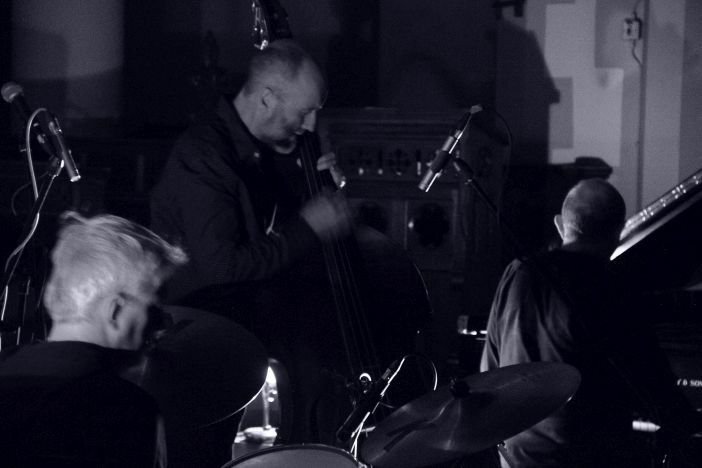 The Necks formed in 1987 in Sydney Australia and Chris Abrahams (piano), Tony Buck (drums) and Lloyd Swanton (bass) have been ploughing a consistently highly acclaimed furrow ever since. 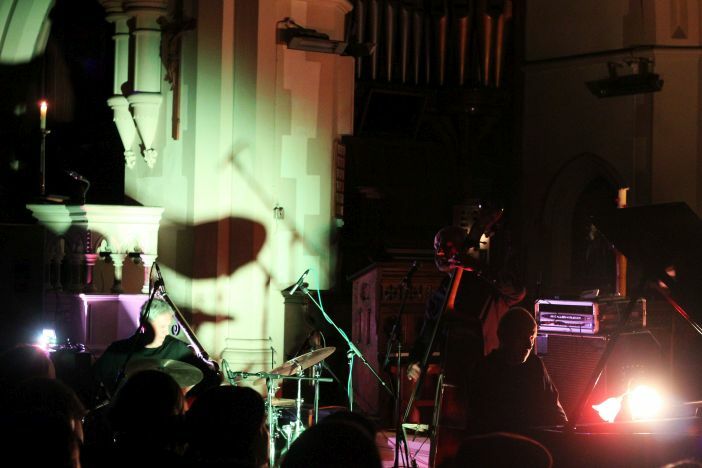 The trio are famed for playing hour long improvisation pieces that explore a relatively limited range of intense repeated musical figures to create an atmospheric ambient orchestral sound, and that was very much what the Brighton audience got. 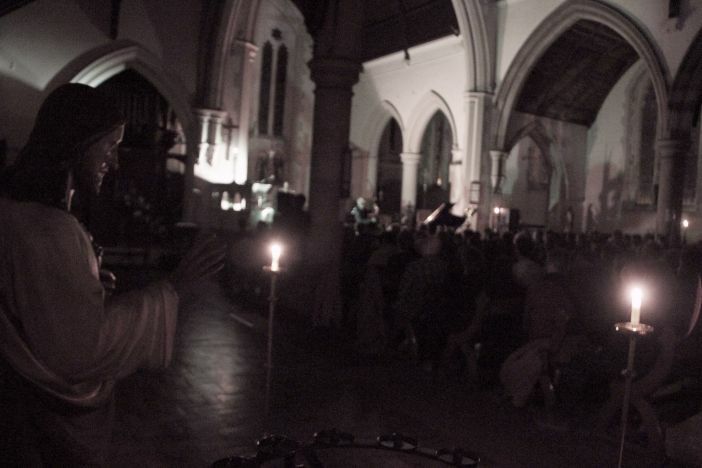 The church of St Luke’s in Hanover was an excellent choice of venue for this music, its simple interior and candlelit statues created an atmosphere that felt a little like being on the set of a low-budget horror movie. The eerily haunting music produced a similar feel, not unaided by a slightly edgy sense of trepidation as the Necks came on stage a full 15 minutes late. The trio played two sets of improvised music. Imagine late 70s horror soundtracks recorded for the ECM label, with a colony of rats scuttering around the floor tripping over nails. To this listener’s ear the first set felt somewhat hesitant, as if the band were in awe of their surroundings and reluctant to stretch themselves. The second set was more varied and emotive, full of moments of mesmerising beauty. Whilst the first set was dominated by Lloyd Swanton’s dominant bass lines in the second set all three band members came together more and Chris Abrahams’ piano in particular seemed to cover more ground and take their whole sound into a different place. The gig was quite a coup for the promoters and hopefully the sell out crowd means we might expect more experimental innovative concerts like this in future.